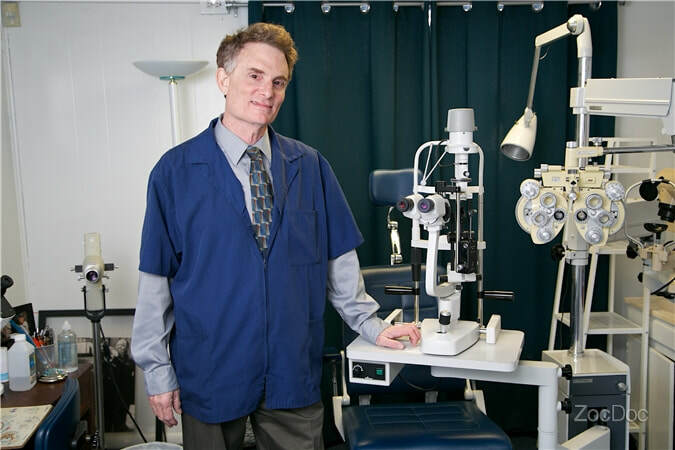 Dr. Elliott Caine has an extensive and multicultural and multifaceted career in optometry. Included in his 30 year career is extensive experience fitting contact lenses, treating eye diseases, removing foreign bodies, and comprehensive eye examinations checking for whatever ocular problems or anomalies that may be present, including glaucoma, cataracts, diabetic retinopathy, hypertensive retinopathy, optic nerve disease,etc. Dr. Caine also works closely with eye surgeons regarding referral and follow-up care for refractive eye surgeries (LASIK, etc. ), cataract surgery, retinal & corneal surgeries, etc. Dr. Caine, who is bilingual in English and Spanish, did his externship, while in school at Indiana University School of Optometry, in Mexico City at the Escuela Nacional Polytecnico. While in Mexico, Dr. Caine also worked at a pediatric clinic treating low vision youth. Dr. Caine has also been involved with medical eye missions to Mexico and Nicaragua.